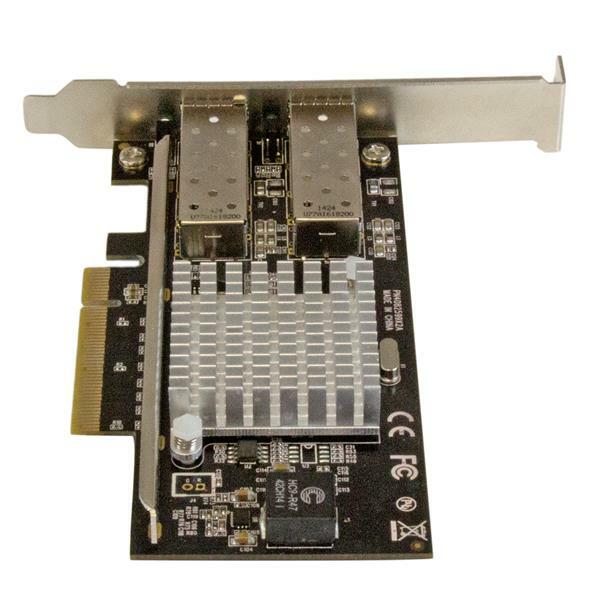 Get fast, high-bandwidth connectivity with this cost-effective fiber network card. 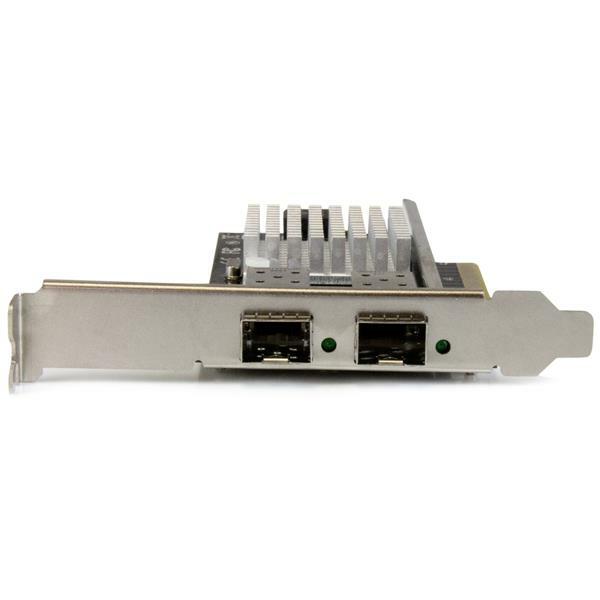 It adds two open SFP+ slots to your server or high-powered workstation, giving you an easy way to connect your server or workstation to a 10 Gigabit fiber network using the SFP+ modules of your choice. 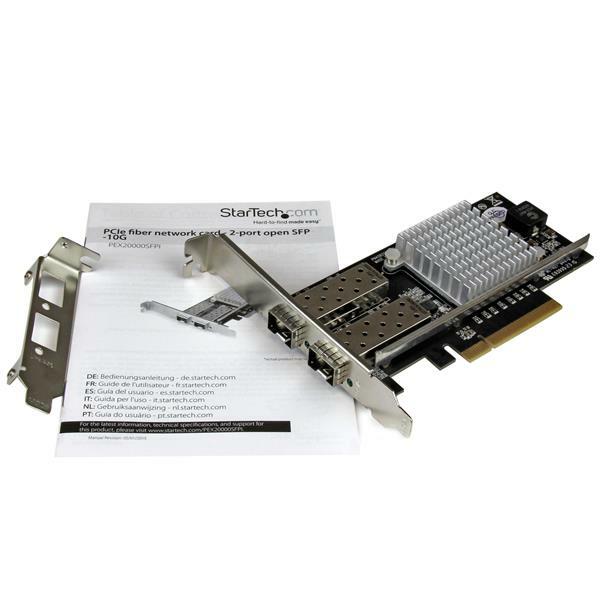 The card features two open SFP+ slots with support for interchangeable SFP+ modules, including the StarTech.com 10GBase-SR SFP+ Fiber Transceiver Module (SKU: SFP10GSRST). This gives you the option to use the modules that best suit your network needs based on distance and connector type. StarTech.com provide a dependable solution for linking telecom and data communications equipment, such as routers and switches. 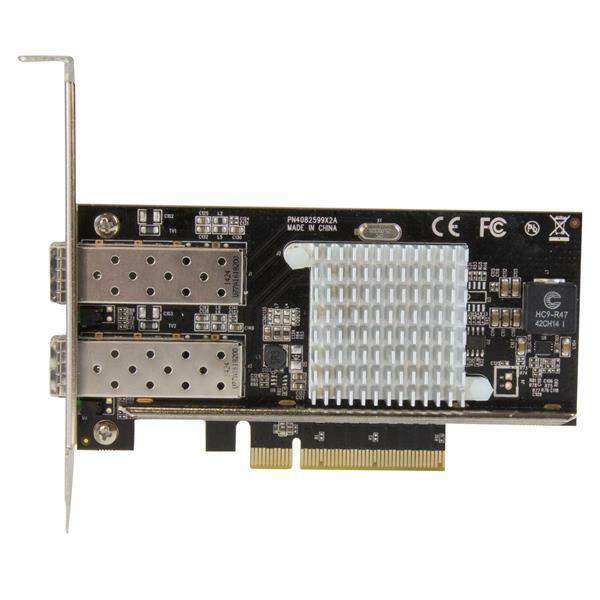 The 10 Gigabit network card features the Intel® 82599 chipset, designed to deliver the power, performance and enhanced capabilities you need for reliable network connections to your server or computer. The Intel chip offers many advanced features including Intel® Virtualization Technology for connectivity, PXE network boot support and up to 15K jumbo frame support. The PEX20000SFPI is backed by a StarTech.com 2-year warranty and free lifetime technical support.